Offered on a variety of campuses and online, the Bachelor of Science degree in Healthcare Management from the National American University is designed to prepare industry leaders with the skills necessary to succeed. Students may be traditionally aged or already professionals in the healthcare industry looking to improve their skillset. Admission to the program requires previous education and work experience within the area of study to assure success. The MHA degree program in Health Services Administration from National Louis University prepares existing health professionals for administrative roles in health care organizations. Curriculum builds on both clinical and supervisory experience within a health care facility and hones leadership skills. Practical application combined with theory and coursework prepare students for active roles in leadership. Healthcare Administration programs at National University are offered entirely online and prepare students for active leadership roles within the healthcare system. The program covers broad and intricate study of finances, economics, quality assurance, compliance, and legal issues found within the confines of healthcare. Students completing the bachelor degree program may apply for the master's degree program, also offered online at National University. Nebraska Methodist College of Nursing offers a fast-track Bachelor of Science in Healthcare Administration that combines theory and practical application for students who desire leadership roles in healthcare. Offered entirely online, the program is designed around Healthcare Leadership Alliance disciplines for students with a passion and drive for management. Students learn how to become effective leaders within both small and large organizations. New England College offers a variety of degree options for students who want to pursue administrative roles in healthcare. The Bachelor of Science in Healthcare Administration combines liberal arts courses with healthcare specific topics and issues to provide students with a well-rounded study. Economic issues, marketing in healthcare, and management efficiencies are among the areas of focus. Offered as a fully online, comprehensive master's program in health policy and management, the MPH degree emphasizes healthcare administration and the complexities found in today's healthcare industry. The program is designed for students preparing for high-level administrative work in healthcare. Faculty members are experts in the field with extensive education, publication, and academic merit. Students interested in entry-level supervisory and leadership roles in healthcare find the North Central Missouri College Healthcare Management degree program useful to career projector. Students are prepared to deal with technological innovation, patient care challenges, and management operations within the healthcare industry. Foundational theory and concepts are taught, and hands-on experience applications are provided. The Doctorate program in Health Care Administration at Northcentral University is offered online for students who have a master's degree from an accredited university. The completion period for the doctoral degree is seven years, although shorter time is accepted. The degree requires five specialization areas and four research courses, for a total of 27 credit hours. With a focus in health care management and health administration, students pursuing a Bachelor of Business Administration may hone their skills for the health sect. Aspects of organizational leadership, legal and ethical challenges, and quality management are focused on within the program, giving students a thorough understanding of what it means to lead within the healthcare industry. The Bachelor of Arts in Healthcare Management, along with the Master's in Healthcare Management, offered at Ohio Christian University, integrates Christian principles with management skills in healthcare organizations. The program is designed to develop healthcare industry leaders to advance in supervisory roles. Students learn critical thinking and decision-making skills necessary to work as an administrator in healthcare. The Master of Health Administration degree from Ohio University is offered entirely online in an interactive, move-at-your-own-pace program. The program is designed to develop advanced level expertise in health care through coursework, activities, and theory. Students may choose from three points of entry, in the Fall, Spring, or Summer. The degree may be completed in as few as two years. Ranked among one of the best Master's degree programs in health care administration, Oklahoma State University Center for Health Sciences offers a comprehensive program designed for working professionals. The program trains leaders to guide hospitals, nursing homes, and health organizations as they face challenges, both today and tomorrow. Curriculum exposes students to management concepts and application, and techniques associated with administration within the healthcare industry. Offered under the Division of Health Sciences, the Healthcare Administration degree offered at Oklahoma State University prepares students for entry-level positions in healthcare leadership. While there is a traditional classroom option, most working students opt to complete the degree program entirely online. The primary focus of the program is to hone administration skills and promote leadership ability. The online Bachelor of Science in Health Care Management program at Oregon Institute of Technology allows students to choose between the Clinical Option and the Radiologic Science Option. Business, management, and the area of focus chosen by the student will be covered. To be admitted to the program, students must meet the Oregon Tech admissions criteria and provide documentation of a current national or state license or certificate in allied health. Students interested in business and health services consider the Bachelor of Arts in Healthcare Management program at Ottawa University. The program offers a clinical and non-clinical track with areas of focus in business, ethics, law, and policy, as impacted by the healthcare system. Concentrations of study include communications, human resource, leadership, and marketing. Earning an MBA with a Healthcare Management specialization from Our Lady of the Lake University may be completed entirely online. The program emphasizes the healthcare system and specific areas of business and finance that impact the industry. Students study finance, law, policy, and leadership within the healthcare system. The program is taught online and offered in a convenient fashion for those who work and balance life and school. Offered as a hybrid and online program, Pacific University's Healthcare Management and Administration degrees are designed with the working student in mind. The degree programs were created in 2013 at the school, which were already in existence within the College of Health Professions. Internships and capstone projects are blended with course curriculum. Park University's online Master of Health Administration program is ranked 18th among MHA programs by BestColleges. Ranking is based on retention, graduation, acceptance, and enrollment. Courses are offered predominantly online with the exception of one or two required meetings on campus. Students completing the program acquire leadership skills and knowledge to successfully manage and administrate within the healthcare industry. The Healthcare Administration program at Peirce College is designed for students who wish to advance their career on the business side of the healthcare sect. Students gain valuable management and administration skills, building a foundation for leading within a healthcare organization, no matter what the size. Flexible online classes may be completed at the student's pace. The online Bachelor degree program in Healthcare Administration offered by Pennsylvania College of Health Sciences blends education with ability to balance work and life. The program is available online and offered in a convenient and flexible fashion. Courses focus on business, finance, marketing, and management within the health care industry. Courses are available in an accelerated format so that students may work at their own pace. Earning an online degree in Healthcare Administration from Pennsylvania State University qualifies students for leadership roles in the healthcare system. The online learning format enables students to fit a degree program into their already busy life, balancing work and education. Penn State has a history of over one hundred years of offering distance education to students. Its online program has been offered for ten years. Pfeiffer University offers a Bachelor degree program in Health Administration that is designed for the adult student already working in the field of healthcare. The online program is flexible for students who need to work during the day but want to complete coursework for the degree. Students explore topics in economics, policy, law, management, and budgets, as applied to the healthcare industry. The unique Bachelor of Science in Health Services Management degree at Philadelphia University is offered online with required coursework and capstone seminar classes. The program is designed to prepare students with knowledge of how the health policy and delivery systems work within the confines of healthcare. The program combines valuable insight in areas such as management with quality care, public health, and other emerging healthcare issues. Pima Medical Institute offers a variety of campuses and online options for degrees in Health Care Administration. For students who are already working in the healthcare industry but want more room for advancement into leadership, the Bachelor of Science in Health Care Administration provides a fast track to management. The accredited program prepares students with foundational knowledge and leadership skills to succeed in administration. Combining business with healthcare management, the online Bachelor in Healthcare Management from Rasmussen College prepares students for roles in healthcare administration. Students gain knowledge to succeed as a non-medical healthcare administrator, manager, or professional. Courses are offered online and may be taken in a fast-track option. The course plan may be customized to suit the needs of the student. The Health Care Administration degree from Regis University prepares students for a career in administration within the health care industry. The four-year program may be completed online and in as quick as two years, depending on the student pace. The Higher Learning Commission accredits Regis, and the school is a member of the North Central Association. The online Bachelor of Healthcare Administration degree from Reinhardt University prepares undergraduate students for careers in supervisory roles and management within the healthcare industry. Students learn skills needed to be effective leaders and professional managers within the healthcare delivery system in the U.S. A total of 120 credit hours earn the bachelor's degree. The MS degree in health systems administration from Rochester Institute of Technology prepares students with strategic skills in technology, leadership, innovation, and quality care within the healthcare sector. Students learn effective leadership tactics and vast comprehension of global health care issues. Accelerated formats allow students to work at their own pace and take advantage of their time as professional students returning to school. Courses under the umbrella of the Health Care Administration program at Roger Williams University fall within the Master of Public Administration degree. Courses are available completely online for students out of the area, or delivered in a hybrid format. Students are required to earn a B letter grade or higher in each course taken. The Health Services Administration program at Rosalind Franklin University of Medicine and Science offers online studies for students who need to augment their education due to professional careers and life. The program prepares students to achieve goals of becoming future leaders within the healthcare industry. Program competencies include knowledge in healthcare administration, leadership and communication ability, business acumen as related to the healthcare sector, and critical inquiry and research. Ranked by U.S. News and World Report as among the top ten health administration programs, Rush University's degree program prepares students with greater knowledge to lead in the healthcare industry. Rush offers a world-class medical center with online and university-based classroom settings. Students use innovative techniques to learn deep level analysis of the healthcare system in the U.S. The Master of Science in Health Care Management at Rutgers University is a 30-credit program offered online for students established in a professional career in healthcare. Courses are flexible and convenient, designed for students who want to complete their education on a part-time basis. The program is comprehensive and covers such topics as strategic planning, finance, quality assurance, informatics, ethics, and research. With an integrative focus on learning and experience, the health administration program at Saint Joseph's College of Maine prepares students to serve the healthcare system as leaders and administrators. The program option is available for students who want to earn a dual degree as an MSN and MHA. A fast track option is available for the master's degree. Students may work at their own pace in order to balance work, life, and education. Saint Joseph's University Healthcare Administration program serves students by empowering them to become professional leaders within the healthcare industry. Students learn the skills needed to manage and supervise in areas of administration through hands-on activities, coursework, and projects. The major courses build on the core foundation of philosophy, economics, and history. Combining business and healthcare management, the degree program at Saint Leo University provides a mix of study that embraces both disciplines. Students learn to analyze health care policies, reason financial management, and face challenges in the healthcare industry. International Assembly for Collegiate Business Education accredits the online programs at Saint Leo University. The Bachelor of Science degree in Health Care Administration is available online from Salve Regina University and prepares students for careers in healthcare management and administration. The program offers an interdisciplinary approach to health care by incorporating studies in global health, management, ethics, disease and prevention, economics, and law. Students may apply the degree toward the master's program offered at the school. The MHA program at Seton Hall University is offered online and on-campus. The online program is designed for students who wish to advance in their healthcare profession and career trajectory. The 42-credit program consists of small classes with 15-20 students in each. Professors are seasoned professionals with expertise in academia and real-world experiences. Simmons College combines its Master of Health Administration program with a Master of Business Administration program to offer a unique skillset for students who want to advance in healthcare administration. Courses in both disciplines may be taken and transferred. A certain number of general MBA courses must be taken, as well as those with a health care focus. Earning an MBA with a Healthcare Administration focus prepares students for high-level administrative roles in healthcare. The degree program at South University is founded on the philosophy that leaders in healthcare must possess competencies in business and management. The program is offered online with flexible options for career professionals to balance work and education. The online Master of Business Administration in Health Care program from Southern Nazarene University offers graduate students preparation in business and health care that opens the door to leadership roles in the industry. The unique skill set increases the student's effectiveness as a manager in health care. Students learn how to improve the understanding of current business trends and demonstrate leadership roles in health care organizations. For students who desire to excel and advance in healthcare leadership, Southern New Hampshire University offers online program options in Healthcare Administration. The master's degree is designed to complete in as few as fifteen months with five convenient start times. The online bachelor's degree program offers an online option with classes taught by industry professionals and experts. In the Healthcare Administration program at Southern Technical College, students learn valuable skills in the concentration of healthcare that helps them prepare for a long-term career in administration and management. Foundational management skills are taught, building upon broad scope courses like healthcare economics, leadership in the workplace, and communication. The Healthcare Administration program at Southwestern College offers a bachelor's degree, which can be acquired online. Curriculum balances management and administration with theories and practices commonly found in the healthcare industry. The focus of the program is for students to gain knowledge in healthcare administration within all areas of discipline – from human resources to law and policy. The online Healthcare Management Certificate program at St. Vincent's College requires five classes be taken and mastered. Courses are limited to Connecticut residents only due to the inter-state regulations on distance learning. The 15-credit program provides foundational skills in healthcare management best practices, offered entirely online. The program's objective is to sharpen management skills and assist in advancing careers. Preparing students for careers in health care management, the online bachelor degree in Health Services Administration from State College o Florida is offered in an online format. Courses are presented in a five-week format with three core courses offered each fall and spring. Two core courses are offered in the summer. Courses are not self-paced, but access to the course is available at any time. Coursework must be submitted on time as directed by the instructor. Designed for the working adult who desires completing a Master in Healthcare Management quickly, and completely online, the graduate program at Stevenson University provides professional coursework on a fast track. The program is considered in-demand and one of the most sought-after degrees. Two areas of concentration may be chosen – Quality Management and Patient Safety or Project Management. The Bachelor and Master degrees in Healthcare Administration may be earned on the student's timeline. The self-paced, completely online program is designed with the working adult in mind. Classes are conveniently scheduled, and students are able to access class and materials at any time. The master's degree may be earned in as quickly as 15 months. The typical time period to complete a class is five to ten weeks. The Healthcare Administration online degrees offered at Strayer University focus on the aging population and expansion of healthcare. Preventative care is one of the fastest growing industries. Strayer University recognizes the expansion and provides flexible courses online for those already working in the healthcare industry. Management, ethics, law, accounting, and technology are among the key components that make up the degree programs. Accredited by the Commission on Accreditation for Health Informatics and Information Management Education, SUNY's Bachelor in Health Information Management combines medical management, healthcare administration, and technology into one discipline. The primary focus of the program is to prepare students for careers in healthcare organizations as information management technology administrators. Graduates of the program move into administrative roles in hospitals, physician clinics, and medical centers. The Commission on Accreditation of Healthcare Management Education certifies the Texas State University Master of Healthcare Administration degree program. The program is offered online, in a full-time or part-time basis. Award-winning faculty administer classes with focus on theory and practical application. Students graduate prepared to face the challenges of 21st century healthcare in the United States. The fully accredited Master's degree program in Health Administration at The Sage Colleges prepares students to work as healthcare managers and administrators in various healthcare settings. The design is multi-disciplinary and offered completely online. Core academics provide a broad scope analysis of business practices, finance, law, and ethics in healthcare. Tiffin University's Bachelor of Science in Healthcare Administration and graduate degree program are in alignment with the changes in healthcare industries in the United States. The program emphasizes cost control, enhanced patient care efficiencies, and improved economics in health care. Students gain foundational knowledge through theory and practice on how to work as an efficient leader, managing teams in healthcare organizations. Trevecca Nazarene University's Healthcare Administration Certificate requires the completion of four classes covering various aspects in healthcare. Students gain a foundation of knowledge that provides the ability to face challenges often faced by leaders in the healthcare industry. Adult learners and those already working in the field of healthcare find the certificate useful for advancement and career mobility. The Master of Science in Health Administration degree program from Trident University International offers four distinct areas of concentration. Students may focus studies on Conflict Resolution Management, Health Care Quality Assurance, Health Informatics, or Human Resource Management. The program propels students toward management and administration roles in healthcare. Students gain a strong knowledge and application base in finance, ethics, human resource, management, and delivery systems as applied to the healthcare industry. The Trine University Business Administration in Healthcare Management degree program combines critical areas of business and healthcare disciplines to offer a unique focus. Course requirements are met online and provide broad scope knowledge in areas of finance, ethics, accounting, government relations, marketing, and public affairs. Topics are applied to the healthcare industry for those students claiming this area of focus. Trinity University's Master of Science in Health Care Administration program provides two avenues to obtain degrees, a 28-month on-campus program or a 23-month Executive program. The Executive program allows students to complete the program online and at their own pace. Class sizes are kept small, rarely exceeding 20 students. The Commission on Accreditation of Healthcare Management Education accredits the program. The Associate of Science in Healthcare Management degree from Ultimate Medical Academy is an online program that can be completed in as few as 17 months. Students learn practical application and theory that may be applied to their career trajectory as they advance in leadership roles in healthcare. Students learn how to prepare budgets, resolve management issues and workplace conflict, and solve challenges faced in the healthcare industry. U.S. News and World Report ranks the University of Alabama Master of Science in Health Administration program 2nd in the nation. The program is ranked as one of the best programs in health care management in the country. Various degrees are available with options for online classes and degree completion. The Executive degree program is available for those with at least five years of experience in the healthcare industry, working as a professional manager. The distance learning Health Information Management Administration degree from University of Cincinnati is designed for working health professionals who want to advance their career while balancing school, home life, and work. The program prepares students for the RHIA Certification Exam, supplies ample problem solving skills in health care, and cultivates effective communication skills to lead and manage. The Healthcare Leadership degree program at University of Denver prepares students for management roles in a variety of healthcare settings. The school offers an online degree builder tool that allows students to select courses that cater to specific career goals. The program stores courses and allows students to categorize them by date and career need. The goals of the Health Services Administration program at University of Louisiana is to provide qualified health professionals to fill mid-level administrative and leadership roles in the healthcare industry. Students enrolled in the program learn how to be effective leaders, managing teams and healthcare organizations. Faculty members hold endowed professorships, are experts in the field, and offer extensive academic training. Combining liberal arts studies and business with healthcare management, the University of Maine program in Healthcare Management offers a unique study series. The accredited program provides courses that hone leadership, management, business, and entrepreneurial skills as applied to the healthcare industry. Students graduating with the healthcare administration degree pursue advancement in their careers as leaders in healthcare organizations. The Bachelor and Master of Health Administration degrees are designed to promote managers and administrators in the healthcare industry. The Master's degree program at University of Management and Technology is a 45-credit hour program that combines core and elective courses to building a strong foundation in healthcare theory and practice. The Master of Science in Health Care Administration program from University of Maryland focuses on mid-career professionals who desire advancement within their career. Students improve their leadership abilities, hone their general management skills, and accelerate their communication and writing skills. The program scheduling is flexible and geared toward the working professional. UMass Lowell offers two areas of concentration for students pursing a Master's degree in Health Informatics and Management. 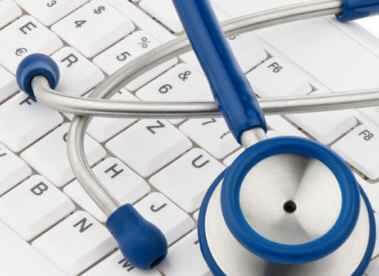 Students may focus on Health Informatics or Health Management, depending on the area of interest. Courses are blended, either meeting online or face-to-face. The program is considered to be hybrid, and is not entirely online. The blended format allows students to meet with faculty face-to-face. The Health Management degree program prepares students with managerial and administrative skills for careers in the health care system. Program delivery is available completely online with 62 major credit hours required. Students focus on health maintenance, managed care organizations, and government regulatory agencies. An in-depth knowledge of the health care system is gained throughout the program. A Bachelor's and Master's degree are available under the Health Sciences program at University of Mississippi. Two tracks may be followed, as a health care practitioner or a health care operator. For administration and leadership within the healthcare industry, students take the Health Care Operations Track II within the Health Sciences program. Students learn the administrative functions and operations of healthcare organizations. The Executive MHA at UNC – Chapel Hill is ranked 2nd by Modern Physician magazine and 3rd by U.S. News and World Report as among the top ranked MHA programs in the United States. With the exception of three visits each year, the entire program is offered online with interactive and Internet based learning. The program is designed for the working professional. The uniquely designed Bachelor in Healthcare Administration degree from University of Northwestern Ohio is a 2+2 degree program that allows students to transfer into the degree completion during their junior and senior years. The program focus is on training leaders to assume administrative and management roles in various healthcare settings, including home health, hospitals, and government agencies. The Human and Health Services Administration degree from University of Oklahoma is offered as a 33-hour degree program, entirely online. Courses offer a broad-based perspective of the healthcare and human service delivery system with an emphasis on administration, leadership, and management in the health care industry. The program is designed to provide professional advancement in the field. Designed for adult learners, busy with work and life balance, the online Health Administration degrees at University St. Francis provide accelerated and flexible options for completion. Undergraduate and graduate degrees may be completed anywhere in the United States. The program is designed for professional career advancement in the healthcare industry. The MBA program at University of Saint Mary offers eight accelerated areas of concentration. The Health Care Management concentration prepares students for administrative positions in the healthcare industry. Students network with alumni at local area companies such as Garmin, General Electric, and Providence Medical Center, where internships are a possibility. The online program offers a flexible course design with accelerated eight-week sessions. From the Associate to the Master, degrees in Health Administration are offered online and in hybrid formats from the University of Scranton. For those pursuing graduate degrees in Health Administration, the University of Scranton boasts a 90 percent job placement rate for its online graduates. Curriculum focuses on communication and relationship management, leadership and management, business acumen, and extensive knowledge of the healthcare industry. The Master of Science in Administration degree from the University of South Dakota offers Health Services Administration as an area of specialization. 24 credit hours of required courses make up the bulk of the degree, while 12 credit hours complete the specialization component. A total of 36 credit hours are required to complete the degree program. The University of Southern California's Price School offers a completely online Executive Master of Health Administration degree, developed for mid-career clinical and upper management professionals. The program is designed to advance graduates into upper-level management roles in the healthcare industry. Career options include executive directors, senior manager, and vice presidents of health services and related organizations. The online delivery-based Health Administration program at University of Southern Indiana offers a Master of Health Administration degree. Courses are delivered online with the exception of three intensive meetings. These meetings may consist of interactive leadership sessions, working meals, guest speakers, or conference meetings. Students complete evidence-based learning and 39-credit hours within six semesters. The Health Systems Management Advanced Certificate program from University of Potomac cultivates the skills students need to manage, retrieve, and transfer data, records, and information within the health care environment. Six courses are required for the certificate, which cover such topics as information technology, financial management, quality control, and health and policy. The program is offered online through the Washington DC and Northern Virginia campuses. At the University of Toledo, the Health Care Administration degree is offered in three different components. Students may enroll in the four-year program, a four-year program with concentration in long-term care, or the 2+2 year program. The program provides students with the abilities and skills needed to manage health care organizations and work as administrators within the industry. Progressive curriculum and customized specializations make the Utica College Master of Science in Health Care Administration a uniquely designed program. Offered entirely online and with accelerated focus, the degree program prepares students for upper level management and administrative positions in health care. Curriculum covers law and ethics, policy and regulation, and various administration related studies. Areas of concentration may be honed to the student's interest. Acute care, long-term care, and healthcare advocacy are just some of the areas of specialization. The Master of Science in Healthcare Administration degree program from Valparaiso University is offered 100 percent online with four areas of distinct specialization. The areas of specialty include: Leadership, Health Informatics, Forensic Health, and Gerontology. The Leadership specialization prepares students to face challenges and issues related to healthcare administration. Students gain knowledge of legal policy and learn how to lead in the health care industry. Virginia College offers online program in Health Services Management and Business Healthcare Administration. The master's degree program emphasizes business practice as applied to the healthcare industry. Students gain knowledge that can be applied to areas of healthcare, such as public health and administration, health sciences, and law and ethics. The program is designed to take 77 weeks to complete. The job placement for students who completed the master's degree program is 100 percent. The Master of Science in Health Administration (MSHA) at Virginia Commonwealth University is a program offered online, with six on-campus visits required. The program design is for professionals currently working in the field of healthcare, who want to advance. Typical students include executive-level managers and directors, mid-level administrators, and clinicians looking to move into administration. Combining business with healthcare administration, the Bachelor degree offered in Health Care Management from Viterbo University focuses on the leadership roles of administrators in healthcare. The program is offered online with convenient part time or full time options. The Accreditation Council for Business Schools and Programs accredits the program and curriculum. Classes are offered in eight-week terms for flexibility. Online Healthcare Administration degree programs from Walden University prepare students for administrative level jobs in the healthcare industry. Graduates of the programs pursue employment in public health as professional advisors, advocates, administrators, and teachers. Faculty is distinguished with years of study, publication, and experience working in public and private health sectors. Studies blend academic theory, practical application, and research in the area of healthcare administration. Waldorf College's Health Care Management programs offer students the opportunity to work online to complete the coursework and requirements of the degree. Students with a vision for leadership and administration find the program convenient with work-life balance. The program attracts working professionals who want to advance in the healthcare industry as managers, directors, and administrators. The Adult Bachelor in Health Care Administration may be completed in as few as sixteen months through the online and accelerated degree program. The design is dedicated to working around the career schedules of students, offering a convenient work-life balance. Students may take one class at a time and work at their own pace. The hybrid design of Weber State University's Master's degree program in Health Administration means a portion of the classes are delivered in an online format while another portion are face-to-face. The goal of the MHA program is to enhance skills in management, leadership, organization, and technology. The program is for working professionals preparing to enter executive leadership roles in health care. Offered exclusively online, the graduate certificate in Health Care Management from West Chester University is designed for career professionals transitioning into the health care industry. The Council on Education for Public Health accredits the program. Nurses, managers, clinicians, and other professional staff who want to advance into healthcare administration enroll in the certificate program. The Master of Health Sciences with specialization in Health Management degree program prepares students to become executive administrators in health care organizations. The graduate degree requires 33 semester hours of coursework completion, and either a research project or thesis. Upon graduation, the master's degree may transition students to medical facilities or managed care organizations to work in leadership and administration. Designed for health care professionals or those who want to transition into the health care industry, the Executive Master of Health Administration is an online degree program offered at Western Kentucky University. The program caters to the needs of the busy executive, offering flexible scheduling and distance learning options. Courses strengthen leadership knowledge and provide education that promotes advancement. Professional faculty provides online courses that prepare students for entry-level management roles in the health care industry. Courses focus on the medical practice and management challenges and issues. Students learn how to be a leader in the 21st century health care industry. Fast-track options are available for degree completion. Students may complete the program in seventeen months.